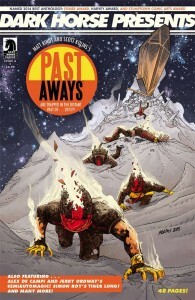 Matt Kindt and Scott Kolins deliver an exciting prologue to their new superhero science-fiction series PastAways, in which the team shows up in the present for the first time! Dig into a short story featuring Simon Roy’s Paleolithic shaman detective Tiger Lung-then buy the hardcover collection of Tiger Lung this month! Check out Alex de Campi and Jerry Ordway’s Semiautomagic; Jimmy Palmiotti, Justin Gray, and Andy Kuhn’s Wrestling with Demons; and Peter Tomasi and Keith Champagne’s The Mighty, written by Champagne, with art by Leonard Kirk! 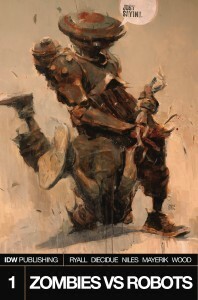 Plus, read another Ed Brisson Murder Book story, featuring art from Brian Level! 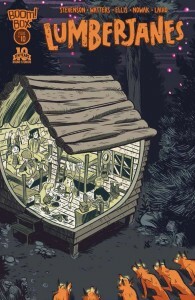 another fun camp adventure between best friends and the unknown! Each month of this yearlong series, Groo and his faithful pooch, Rufferto, encounter a different acquaintance–or enemy–with the usual dire consequences! 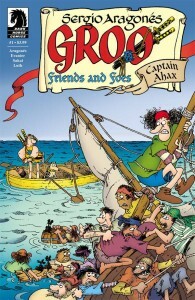 In #1, Groo crosses paths with Captain Ahax, the seaman with the world record for most ships sunk by the all-time stupidest character in comics! 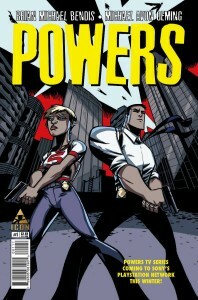 Brought to you by the award-winning team of Sergio Aragonés and Mark Evanier! Over 200 pages of gorgeous full-color paintings, accompanied by a unique story of world-wide exploration and dragon encounters! 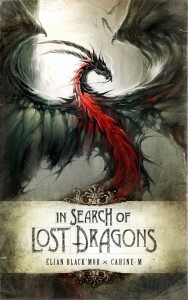 On the trail of dragons forgotten, an intrepid illustrator and reporter journeys from Europe through the Middle East and finally to Saigon in search of the dark caverns and mountaintop perches where the elusive winged serpents dwell. With the gift of seeing the invisible, our explorer friend records each encounter in a journal of gorgeous, fully painted artwork, capturing every majestic and fearsome visual detail of the scaly behemoths, and accompanies his findings with snippets of local lore as evidence that these hidden beasts continue to shape the world in ways we may never expect!